Hi friends! Today I’m sharing a layout I made for Hip Kit Club. I was challenged to use the Project Life kit and the Hip Kit Club exclusive papers from the July 2018 hip kits. I cut the SUMMER cut file, which is one of the freebie July cut files found on the HKC website, from white cardstock and backed it with some exclusive papers and a few of the project life cards. I love that the colors coordinate so well together, and they are perfect for pool and summer layouts! I used the blue Pinkfresh Studio watercolor from this month’s color kit, as well as the blue shimmer from last month’s color kit to add splatters in a diagonal across the blue cardstock. I also splattered watered down white paint across the layout, and drew some tiny circles with a white gel pen. Once everything was dry, I used thin foam squares to adhere the cut file to the layout. I love those HKC exclusive wood veneer. They are so thin and easy to work with! I used 3 of them on this layout. Next I added my journaling to the bottom left of the layout, and a few little embellishments. I really like how my layout turned out. I hope you’re inspired to get crafty. If you haven’t already, check out the July 2018 Hip Kits; they are packed with lots of exclusives! I used the Main kit, Project Life kit, Embellishment kit, one of the blue cardstocks from the Cardstock kit, and I used the Sky Blue Pinkfresh Studio watercolors from the Color kit. I also used the Frost Bit Shimmerz from the June 2018 Color kit. If you follow me on instagram (@junglebarrya), you probably saw my super exciting news… I am on the Pinkfresh Studio design team! Ahhh! Head on over to this blog post for links to my fellow team members! I am so excited to share my first DT projects and blog post! 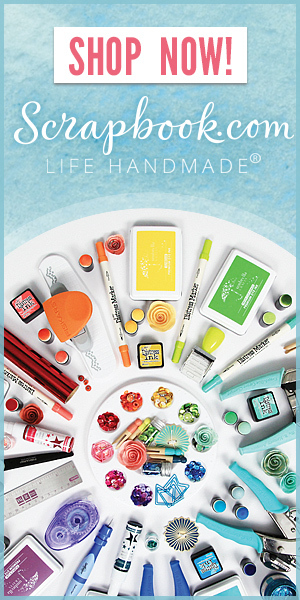 I am such a huge fan of Pinkfresh Studio products already, and this Simple & Sweet line couldn’t be any sweeter! I love the soft rainbow colors of this collection, and I wanted to highlight that in a project. I created a rainbow pattern of butterflies on my first layout. This layout features photos of each of my girls wearing the same yellow traditional Korean dress called “hanbok” on their 1st birthday. I am so glad I have these photos of them in the same dress. It’s fun to see how alike and yet how different they are. For my next layout, I really wanted to play with the stitched frames in this collection. I really love how my layouts turned out. I hope I’ve inspired you to get crafty! Stop by the Pinkfresh Studio Blog for more info on my layouts and a couple more photos. You can purchase this collection from Scrapbook.com, and a lot of the collection is included in the Hip Kit Club June 2018 Main kit, Project Life kit, and Embellishment kit. Who has tried fringe details on a layout? This week, I was challenged to make a project with fringe. I’m working with the June 2018 Hip Kit Club Main kit, Project Live kit, Embellishment kit, and Color kit. I made a layout about my middle girl turning 8. I’ve always thought that this was the age when you started growing up. My girl has done a lot of growing up, but I love that she still has a lot of “little” left in her. I made fringe by cutting 1.25 inch strips of the Bella Blvd floral paper and plain white copy paper. I hand cut slits in the paper, leaving about 1/4 inch at the top. I glued down the tops of the fringe paper onto scrap pieces of paper, starting from the bottom and layering each strip on top. Using my silhouette, I cut out a few circles in various sizes across the pink cardstock. I added some Shimmerz paint splatter to the cardstock. Once dry, I added the hand stitching around the 3 big circles. Then I backed these circles with the fringe paper, and other scraps of pattern paper. I added some more machine stitching and hand stitching around the rest of the circles. I added the photos, title, journaling. Then I added all the fun embellishments to finish off my layout. I really love how this project turned out, and I hope you give handmade fringe a try! If you’re interested, I used fringe on another layout, which you can read about in this post, and funnily enough, it was a layout about my girl turning seven. Today I’m sharing a layout I created with the June 2018 kits. I used the Main kit, Project Life kit, Cardstock kit, and Color kit. For my project, I was challenged to use a cut file and ephemera. For the cut file, I chose to use one of the free cut files for June created by fellow DT member Lisa. Make sure you have an account on the Hip Kit Club website to access this free cut file. It’s a layout featuring our beloved Bahama Bucks, which has awesome shaved ice and the best strawberry lemonade ever (my fave)! My husband and I discovered them in college, and we were thrilled when we got one locally! I used 2 different pink cardstocks: a lighter pink for the cut file and a slightly darker one for the background. Then I added some machine stitching with pink thread, which turned out a bit wonky, but lets just say I did that on purpose. Haha! I splashed some of the Shimmerz paints we got from this month’s color kit in a diagonal across the page. I backed my photos with some pattern paper and one Project Life card, then added them to the top right and bottom left of my layout. I used some of the Pinkfresh Studio ephemera,puffy stickers, and enamel dots to embellish my layout. I finished off my layout with a simple “sweet” title from the Embellishment kit and a little bit of journaling. I’m so happy with how my project came out. I hope I’ve inspired you to get crafty! Today, I’m sharing a layout I made for the Hip Kit Club Facebook page on Wednesday. I used the June 2018 Hip kits. This week we got to choose our own theme or product to focus on, and I chose the Pretty Little Studio journaling tags found in the Embellishment kit. I thought they would be perfect to use on a school layout. I started out by splattering color across the page with a couple Shimmerz from the June Color kit and Vicki Boutin paints that we got in last month’s color kit. Once dry, I arranged the tags on the cardstock. I filled in the tag with handwritten journaling, some Pretty Little Studio phrase stickers, and some stamps that we got in previous kits. I added my title using the green Pinkfresh Studio alpha stickers. Then I machine stitched through the title and tags using colorful thread. I added my photo, and some flowers around the photo. I added the Bella Blvd floral paper at the bottom, and I also fussy cut a few flowers and adhered it to the top right and bottom left of the layout. I am really happy with how my layout turned out! I used the June 2018 Main kit, Project Life kit, Embellishment kit, Color kit, and the white cardstock from the Cardstock kit.